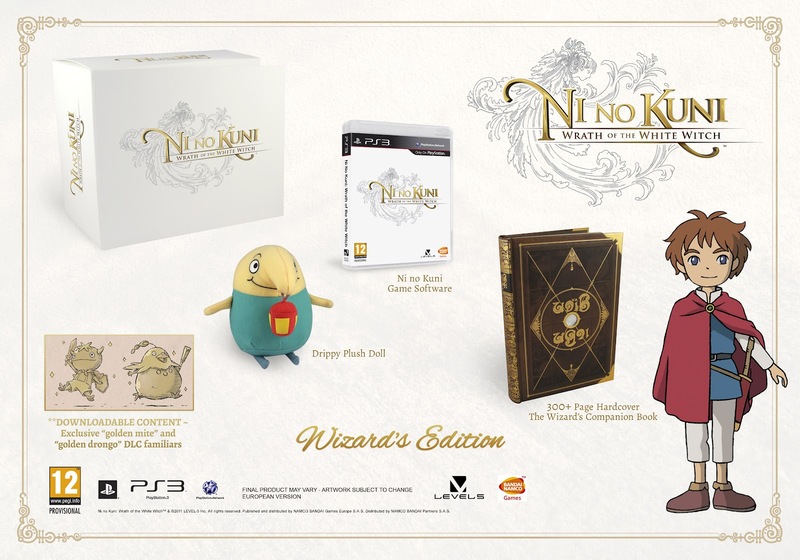 Namco Bandai recently announced that along with the standard release of Ni No Kuni, they will also be releasing the Ni No Kuni Wizards Edition which is set to come out on January 25th 2013! - A 300+ page spellbook that Oliver uses throughout his journey. - Full colour Wizards Companion, a bestiary of all the creatures found in the game along with in-depth item descriptions, spells and history of the other world. - Plush doll of Drippy, Oliver’s guide through his adventures, as well as exclusive ‘Jgolden mite’ and ‘golden drongo’ downloadable content (DLC) familiars. Fans who pre-order Ni no Kuni: Wrath of the White Witch at participating retailers will also receive two exclusive familiars developed especially for the western release: flutterby and griffy. 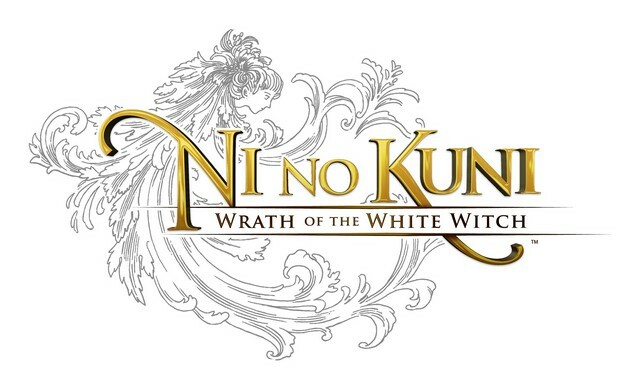 See the Wizards Edition below!